I love raw recipes as they are so easy, no cooking involved! This beats any wheat or processed pasta and is so much better for you! 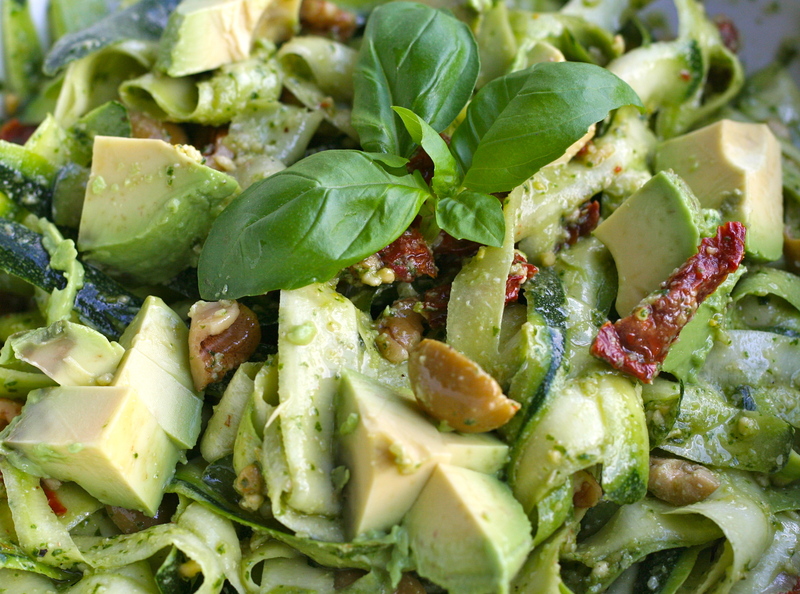 I’ve made it here with pesto but you can add any healthy raw dressing you like. Peel Courgettes in long strips leaving the core and set aside. Place all pesto ingredients in a processor and whizz up. Mix with courgette. Extremely simple and tasty and a great one to take to work… Enjoy!